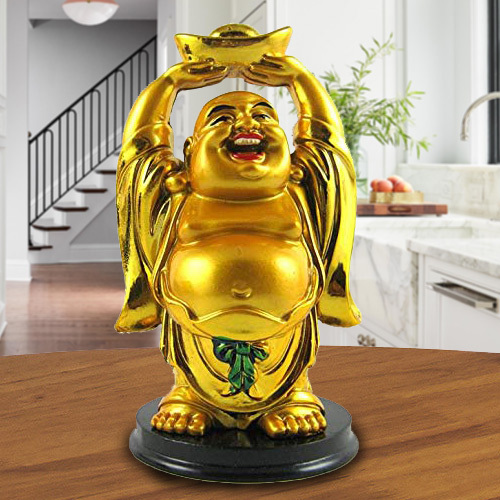 Have fun with your friends and family with this Extraordinary Standing Laughing Buddha Idol with Ingot and enhance your celebrations. This is a beautiful masterpiece for those who are seeking good fortune and wealth. This Laughing Buddha is holding ingot by both hand on the top.